You need quality products that are on-trend and relevant to your needs. At Schiff’s, it is our mission to understand and fulfill these needs. To achieve this, we partner with industry leaders to provide you with the freshest seafood and produce available. From the docks of New England to your establishment, we deliver the finest fresh seafood in season and at the right price. 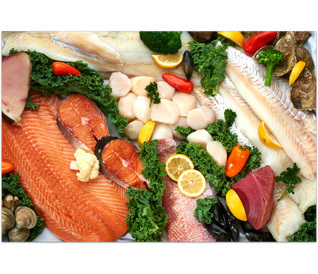 Through our partnerships, we have the ability and capability of sourcing fish and fresh seafood from around the world. With Orange Roughy from New Zealand to Cultured Oysters from Maryland, SFS has the options and selection your customers demand. Our knowledgeable team is devoted to maintaining quality, product selection, food safety and reliability. Working closely with growers from all major regions, we offer full line of fresh fruits and vegetables, delivered all to you – at the right price. Ensuring only the very best is delivery on each and every delivery, our produce buyers inspect each day’s deliveries for consistent quality.